This review is about a new binary optios scam called „Alderley Code“. It is presented by Grant Alderley. Alderley says that Alderley Code is the first and only guaranteed binary options trading software in the world. It allegedly can make you more than $2,000 per day. And now you can get this program for free, no surprise. Because it is normal that somebody wants to make you mone for free, right? 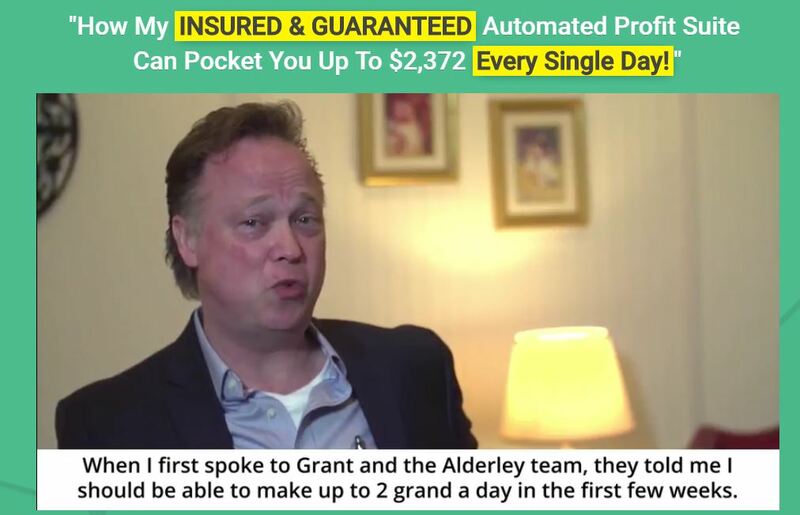 The truth is that Grant Alderley is a fictitious character played by an actor. The Alderley Wealth Group simply does not exist. The purpose of this project is to make you deposit money with a selected binary options broker, because this is what these scammers are getting paid for. For this purpose they will supply you with a bad piece of software that generates losses. So if you trade your deposit with the Alderley Code, you will lose it. But scammers will have earned their commission. 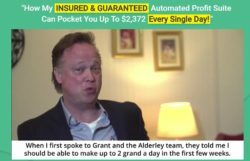 Forget about all the testimonials, bank and trading account statements you can see in the Alderley Code video. They are fake, paid actors were used to endorse this program. All the statements have been edited and faked. The Alderley Code is a total piece of crap. You have to know that you won’t be allowed to use the Alderley code unless you deposit your own money with a selected unregulated broker, $250 at least. So you will have to be risking your own money since the first trade. It is very easy to prove that the Alderley Code is a scam. Take a look at the picture, this software is used by scammers only. We’ve seen it for example in the Money Glitch and Hedge Formula scams. This software loses money to its users, it is proven beyond doubt. 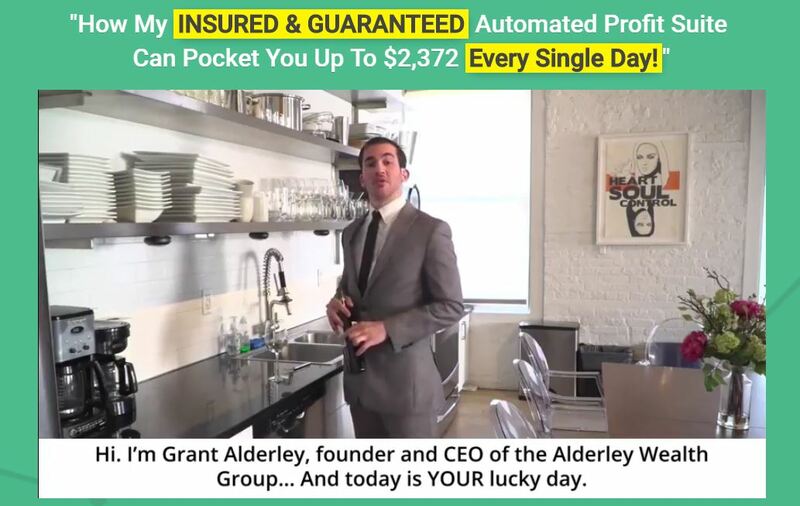 The Alderley Code is just another scam trying to make you lose money with a crappy software, so stay away from it. If you are interested in seeing how real money can be made in binary options trading, try a free demo account. But don’t start trading with your own money until you are able to generate profits on the demo.